Are you an innovative startup solving problems in Energy Efficiency, Energy Independence, Digitisation or Analytics? Would you like to get feedback from experienced entrepreneurs, investors and industry experts? 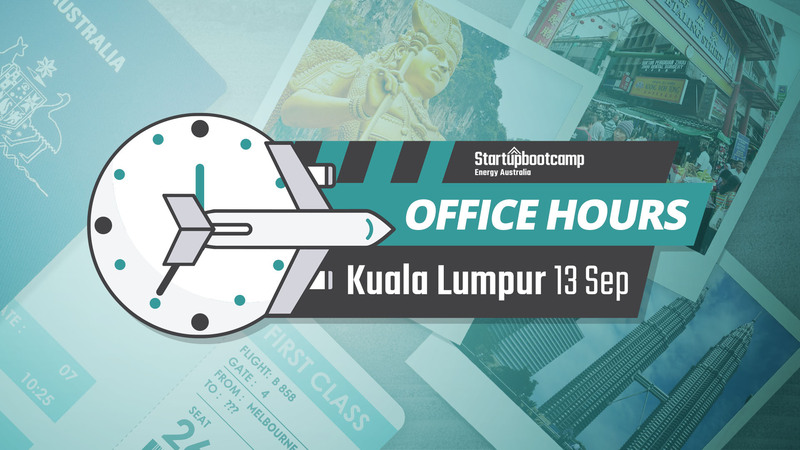 If so, Startupbootcamp Energy Australia invites you to our Office Hours in Kuala Lumpur on 13th September 2017. After you have submitted your application for the event, we will contact you to arrange a time to meet on the 13th September. Please note we only have a limited number of time slots and applications close 6 days before the event so make sure you complete your application early! We are more than happy to arrange a Skype call if you can’t make our Office Hours but you still need to complete an application online to give us some information on your startup and team. If you have any questions about Office Hours or the accelerator program, feel free to drop us a line at energyaus@startupbootcamp.org. You can also find more information about Startupbootcamp Energy Australia’s Accelerator Program here.